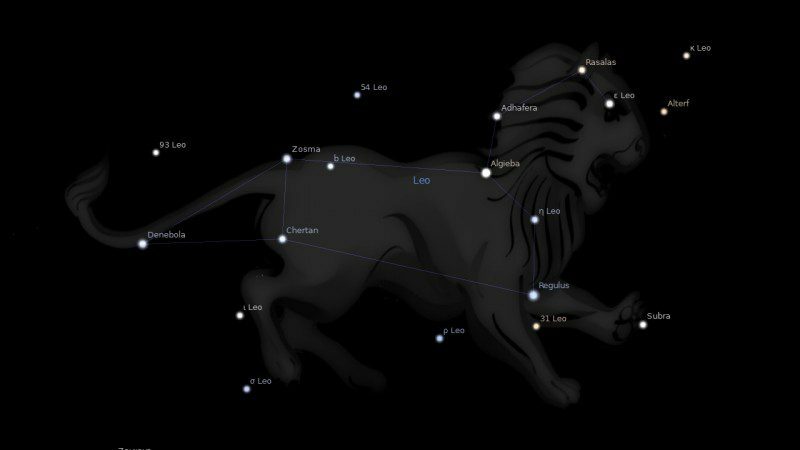 Fixed star Al Jabhah, Eta Leonis, is a 3.5 magnitude star in the mane of the Lion, Leo Constellation. The traditional name Al Jabhah comes from an Arabic word which means The Forehead. 1. Fixed Stars and Constellations in Astrology, Vivian E. Robson, 1923, p.128. 2. The Fixed Star Health and Behavior Imbalance, Ted George and Barbara Parker, 1985, p.65. I have Jupiter and Pluto conjunct this star and have felt the “always last” effect my while life. They are square Saturn and opp sun so this is built into my lessons in life. The solar eclipse Aug 20 will set this whole thing off as it occurrs opposite my sun. I’m hoping it will break the spell of my birth fate. Set the next few years off in a good direction.